Hello everyone! Hope you’re all doing well. Quite different from the doodle filled page I pictured! Instead I just ended up with a spread that I scribbled my watercolour marker on and added lots of water too. 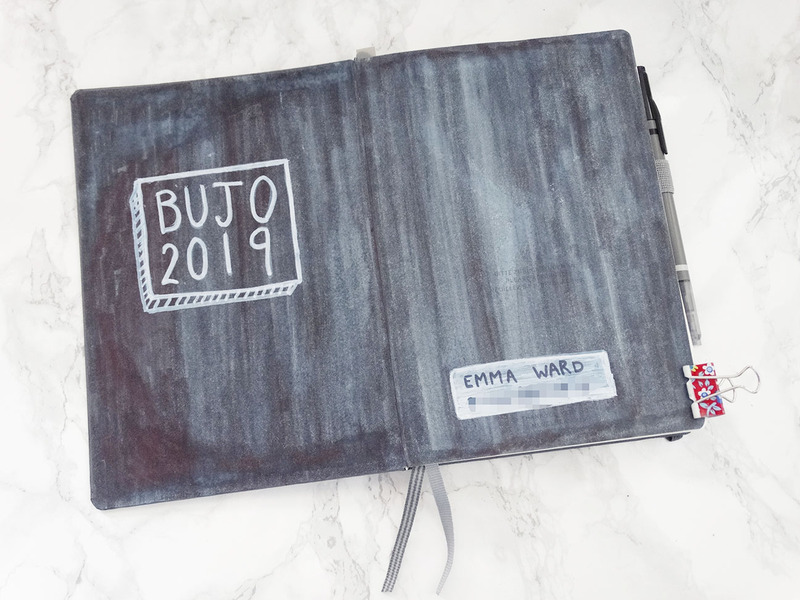 I figured I should add some to details…so I used a white paint marker to write my name, some contact info and let it be known that this was my 2019 Bujo. Well, the best-laid plans of mice and men often go awry…except this wasn’t a well thought out plan, just and idea…and really it was just me not being motivated. I’ll try not let this be a sign of how my planner will go in 2019! Reminds me of an old chalkboard. I like it!